Is it an automation trend or a new technology? Coined by a group of German universities and companies, Industry 4.0 introduces what is called the “smart factory,” in which cyber-physical systems monitor production processes of the factory, communicate and make decentralized decisions over the internet. As manufacturing evolves at an increasing pace, smart monitoring systems are becoming more and more mainstream. In a production environment, the benefits of an Industry 4.0 model are self-evident. 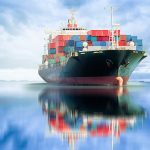 Supply chains could be more readily controlled when there is data at every level of the manufacturing and delivery process. In some working environments, the health and safety of humans could be improved dramatically. Computer control could produce more reliable and consistent productivity and quality output. 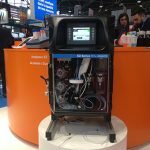 Specialist manufacturer of process analyzers and monitoring systems, AppliTek acts on the field level of the 4.0 model. AppliTek has designed and commissioned numerous analyzer and instrumentation packages allowing customers to take control over production processes and raw material consumption. Once the critical process parameters have been defined, the appropriate sensors and analyzers integrated in the network, the resulting control at business level with financial optimization allows for increased revenues and decreased costs. AppliTek’s controller software UPAMATIC® assures full integration and communication within industrial production sites and corporate networks. Beginning with analogue 4-20 mA outputs, the most common industrial standard protocol available on all AppliTek on-line analyzers. Ethernet communication by means of the industry-standard TCP/IP protocol enables easy and reliable integration into existing corporate networks. Modbus interfacing is possible to assure full integration and communication with distributed control systems (DCS), or allowing UPAMATIC® to control other devices such as chromatographs or sampling systems. Much of these communication protocols are also used in the analyzer projects of AppliTek’s analyzer system integration division. 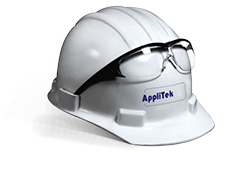 Through continuous innovation and field experience, AppliTek has built a strong reputation with both end users and EPC contractors, delivering process analytical systems to some of the major players in the chemical, refining and pulp & paper industries, to increase their competitive edge.